I’m the process of migrating to a new OpenPGP key. I have been using GnuPG with keys stored on external hardware (smartcards) for a long time, and I’m firmly committed to that choice. Algorithm wise, RSA was the best choice back for me when I created my key in 2002, and I used it successfully with a non-standard key size for many years. In 2014 it was time for me to move to a new stronger key, and I still settled on RSA and a non-standard key size. My master key was 3744 bits instead of 1280 bits, and the smartcard subkeys were 2048 bits instead of 1024 bits. At that time, I had already moved from the OpenPGP smartcard to the NXP-based YubiKey NEO (version 3) that runs JavaCard applets. The primary relevant difference for me was the availability of source code for the OpenPGP implementation running on the device, in the ykneo-openpgp project. The device was still a proprietary hardware and firmware design though. Five years later, it is time for a new key again, and I allow myself to revisit some decisions that I made last time. GnuPG has supported Curve25519/Ed25519 for some time, and today I prefer it over RSA. Infrastructure has been gradually introducing support for it as well, to the point that I now believe I can cut the ropes to the old world with RSA. Having a offline master key is still a strong preference, so I will stick to that decision. You shouldn’t run around with your primary master key if it is possible to get by with subkeys for daily use, and that has worked well for me over the years. Hardware smartcard support for Curve25519/Ed25519 has been behind software support. NIIBE Yutaka developed the FST-01 hardware device in 2011, and the more modern FST-01G device in 2016. He also wrote the Gnuk software implementation of the OpenPGP card specification that runs on the FST-01 hardware (and other devices). The FST-01 hardware design is open, and it only runs the Gnuk free software. 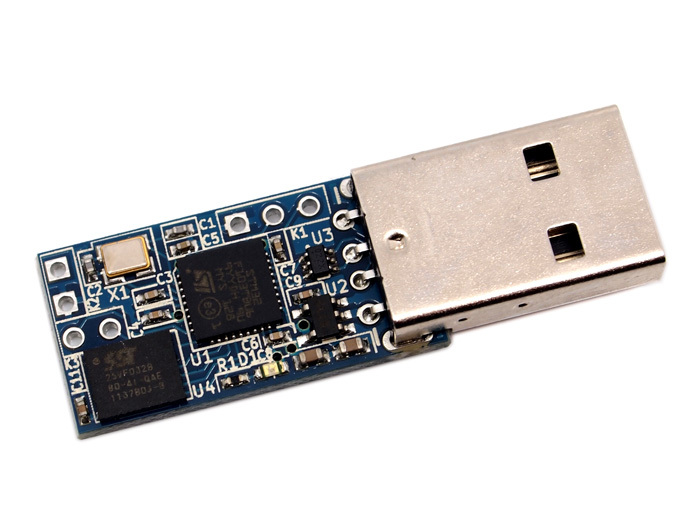 You can buy the FST-01G device from the FSF. The device has not received the FSF Respects Your Freedom stamp, even though it is sold by FSF which seems a bit hypocritical. Hardware running Gnuk are the only free software OpenPGP smartcard that supports Curve25519/Ed25519 right now, to my knowledge. The physical form factor is not as slick as the YubiKey (especially the nano-versions of the YubiKey that can be emerged into the USB slot), but it is a trade-off I can live with. Niibe introduced the FST-01SZ at FOSDEM’19 but to me it does not appear to offer any feature over the FST-01G and is not available for online purchase right now. I have always generated keys in software using GnuPG. My arguments traditionally was that I 1) don’t trust closed-source RSA key generation implementations, and 2) want to be able to reproduce my setup with a brand new device. With Gnuk the first argument doesn’t hold any longer. However, I still prefer to generate keys with GnuPG on a Linux-based Debian machine because that software stack is likely to receive more auditing than Gnuk. It is a delicated decision though, since GnuPG on Debian is many orders of complexity higher than the Gnuk software. My second argument is now the primary driver for this decision. I prefer the SHA-2 family of hashes over SHA-1, and earlier had to configure GnuPG for this. Today I believe the defaults have been improved and this is no longer an issue. Back in 2014, I had a goal of having a JPEG image embedded in my OpenPGP key. I never finished that process, and I have not been sorry for missing out on anything as a result. On the contrary, the size of the key with an embedded image woud have been even more problematic than the already large key holding 4 embedded RSA public keys in it. Master key on USB stick. USB stick only used on an offline computer. Subkeys for daily use (signature, encryption and authentication). Keys are generated in GnuPG software and imported to the smartcard. Smartcard is open hardware and running free software. Getting this setup up and running sadly requires quite some detailed work, which will be the topic of other posts… stay tuned!